The Bayesian Way offers a basic introduction to statistics that emphasizes the Bayesian approach and is designed for use by those studying professional disciplines like engineering and economics. In addition to the Bayesian approach, the author includes the most common techniques of the frequentist approach. Throughout the text, the author covers statistics from a basic to a professional working level along with a practical understanding of the matter at hand. 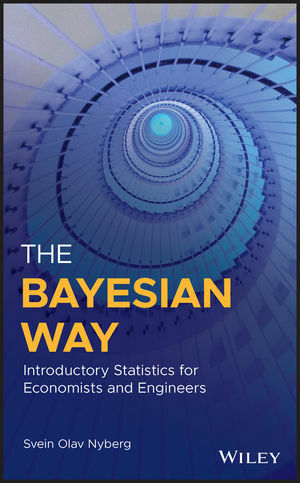 Written for undergraduate and graduate students of subjects where Bayesian statistics are applied, including engineering, economics, and related fields, The Bayesian Way: With Applications in Engineering and Economics offers a clear understanding of Bayesian statistics that have real-world applications. Svein Olav Nyberg, PhD, is an Associate Professor at Agder University in Grimstad, Norway. Previously, he worked at Volda University College as an Associate Professor and at Computas A/S as a Senior Engineer.